When creating English language support in curriculum areas such as math and science we understand the importance of having SMEs work together with the ELL/ESL experts. The quality resulting from our attention to staffing in this manner has allowed us to develop a strong niche in the ELL/ESL/ELD market. 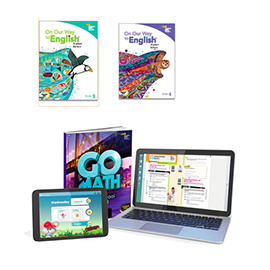 We have developed a number of support materials to be incorporated into basal programs in a variety of disciplines as well as stand-alone ESL/ELL/ELD products.